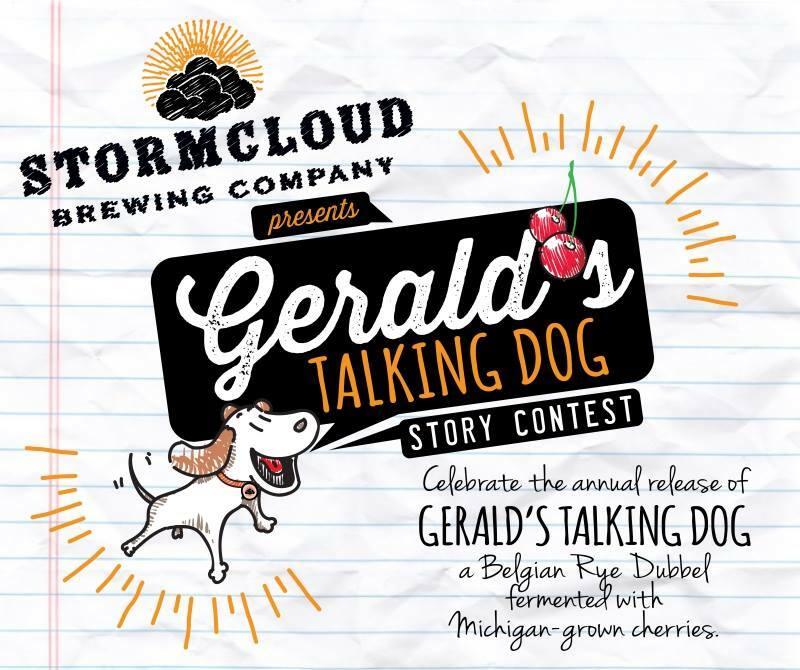 Gerald’s Talking Dog loves cherries. That’s all he ever talks about. It wasn’t always this way, though. You see, before me, all Gerald’s Talking Dog could say was that he hated cherries. In fact, for many people, it was this reason that Mr. Whiffle was less a phenomenon and more an annoying uncle around the Holidays. He sat, looked into his soul and began, “My first cherry. Yes, I will always remember the first time. It was early August. The summer sun warmed my fur, I was walking Gerald through the fields in Beulah. Gerald unleashed me and I ran through an old cherry orchard, that’s when…” He stopped for a moment. In the absence of words his brow tightened and a growl formed in the back of his throat. “Birdie.” He whined, “She was beautiful. She smelled like orange blossoms and fresh hops. She sang softy, and flew gracefully overhead with the prettiest blonde feathers, and man was she leggy.” Mr. Whiffle began to pant as he reclaimed memories of Birdie. “She led me beneath a tree, plucked a cherry from the branch and fed me. The fruit was incredible, flavors bursting with each bite. The sweet-tart balance, even the color of the fruit. We ate until we were nearly sick, savoring every bite.” Mr. Whiffle paused for a moment. “And where is Birdie now?” I asked, thinking we might be able to get to the pit of the problem. “Well, Guvn’r, here’s what I think. You have a right to be sad, to feel heartbreak. But you can’t live that way forever. It’s time to make new memories and start over. Love is like cherries. Some are good in pies, some are made for jam, some can be eaten right off the branch, but some…” I said while uncapping a bottle made by a local brewery, “are good for beers.” I handed it over to Mr. Whiffle. One sip was all it took. 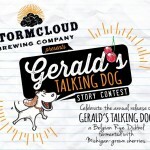 Gerald’s Talking Dog Essay Contest 2017: Second Place Those Nancys Know How to Party!